Inspired by Pope Francis’ encyclical “Laudato si’: Praise be,” Our Lady of Hope Catholic Elementary School combined the efforts of both its Luke 4:18 Social Justice Council and its Eco-Committee to collaborate on a special project, in support of Project Hope. One of the initiatives was the We Are Silent campaign. 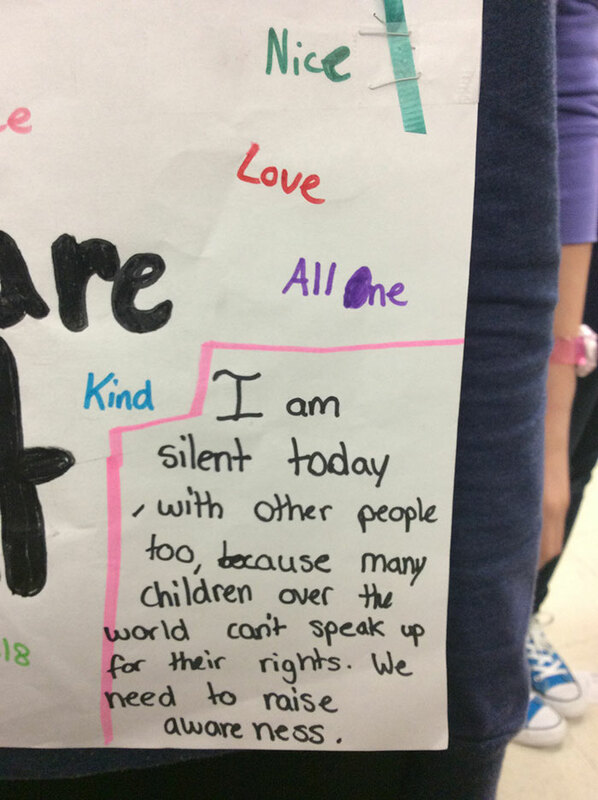 Students from the committee chose to pledge a few hours of silence on November 25th in order to speak up and educate others about issues faced by children in our world who are fighting for basic human rights. 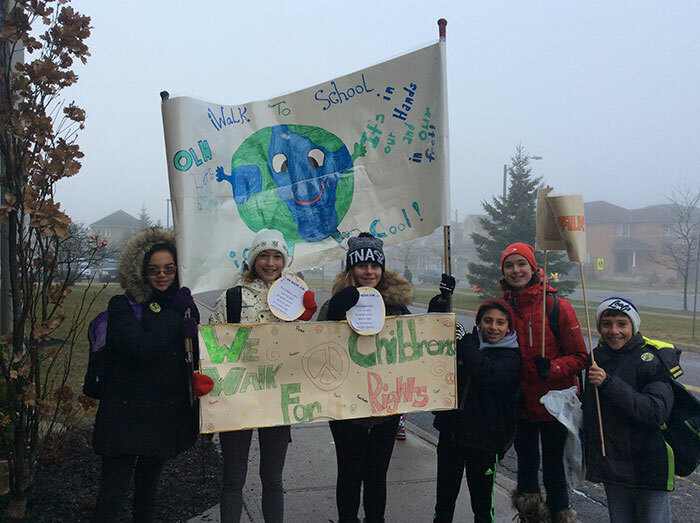 The school also held a WE Walk for Peace and Children’s Rights Day to coincide with its monthly iWalk to School Day. 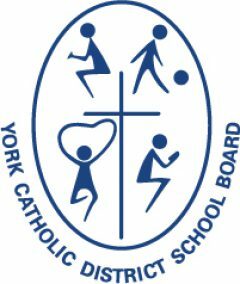 Also on that day, the school held a volleyball tournament and students donated money to attend. 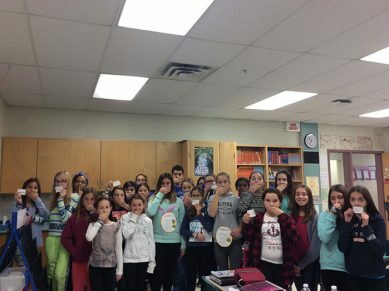 All proceeds went to Project Hope. 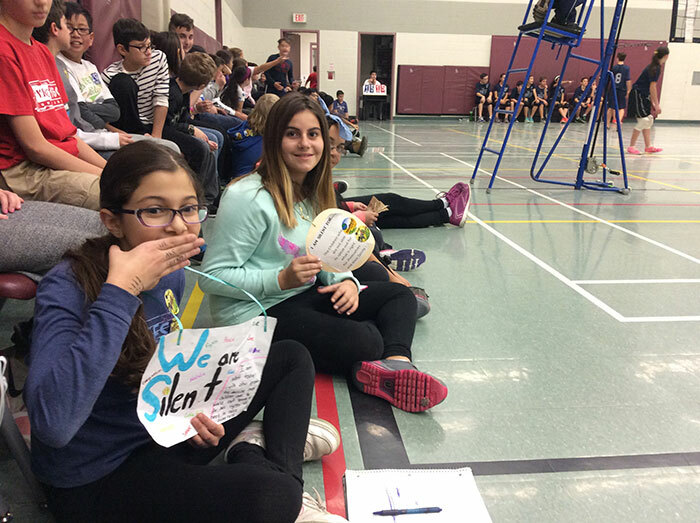 Students who silently cheered during the volleyball games and walked silently during the iWalk event drew attention to the many challenges faced by refugees and people around the world who struggle for basic human rights. Finally, the Luke 4:18 Social Justice and Eco-Committee students also raised money and awareness for Project Hope by selling and delivering recycled Christmas cards.